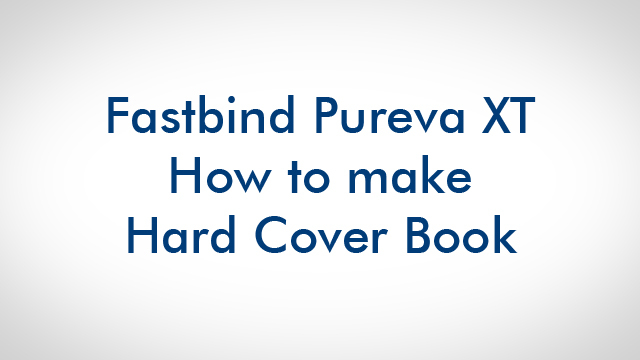 With the Fastbind Pureva XT, you don't need special skills or machinery to bind hard cover books. Just insert your cover. Block it. Then insert the content between the endpapers. Turn and apply the PUR or EVA glue to the spine. Turn back and release the book. Apply pressure to form the groove on both sides. Your book is ready. This is the perfect solution for on-demand and personalised books. No adjustments between sizes from matchbox up to A3+. The only supplies needed are the endpapers.